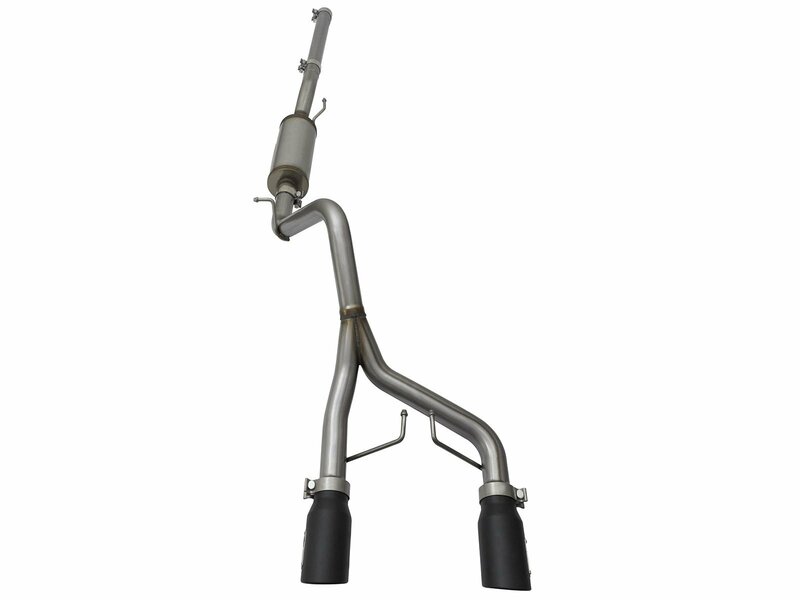 Over time the exhaust system on your Wrangler JK might just not be doing it for you anymore in the sound department or might just need to be replaced from everyday wear & tear. 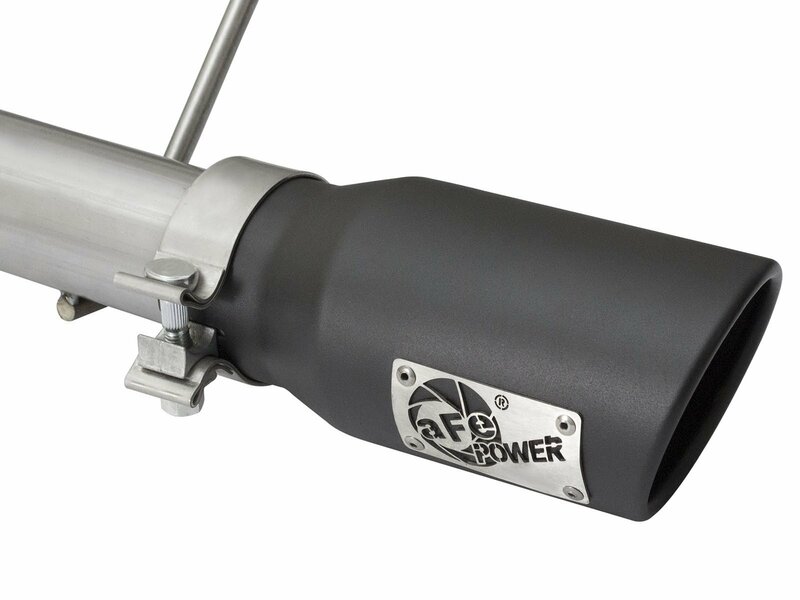 Stand out from the everyday crowd with aFe's aggressive sounding Rebel Series 2.5" Dual Center Exit Cat-Back. 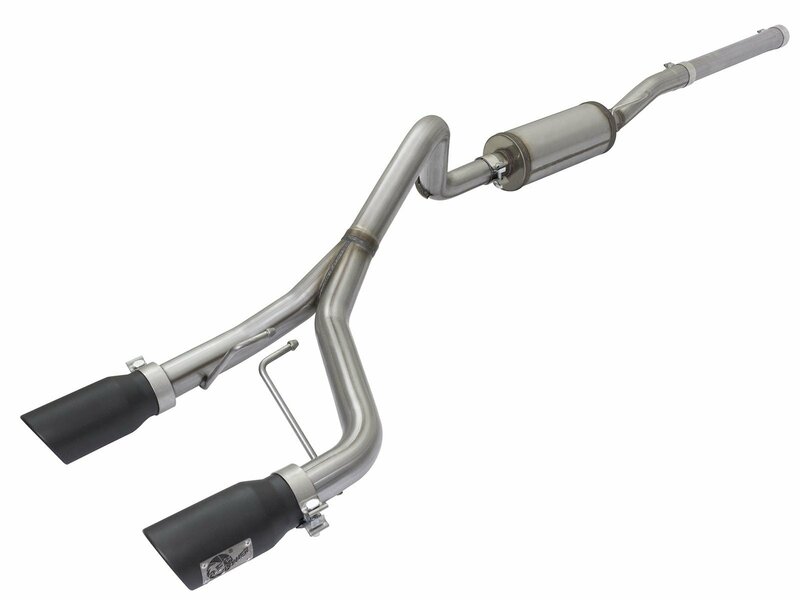 This exhaust is constructed of dual 2.5" MIG welded mandrel bent stainless steel tubing allowing maximum air flow resulting in increased horsepower & torque. 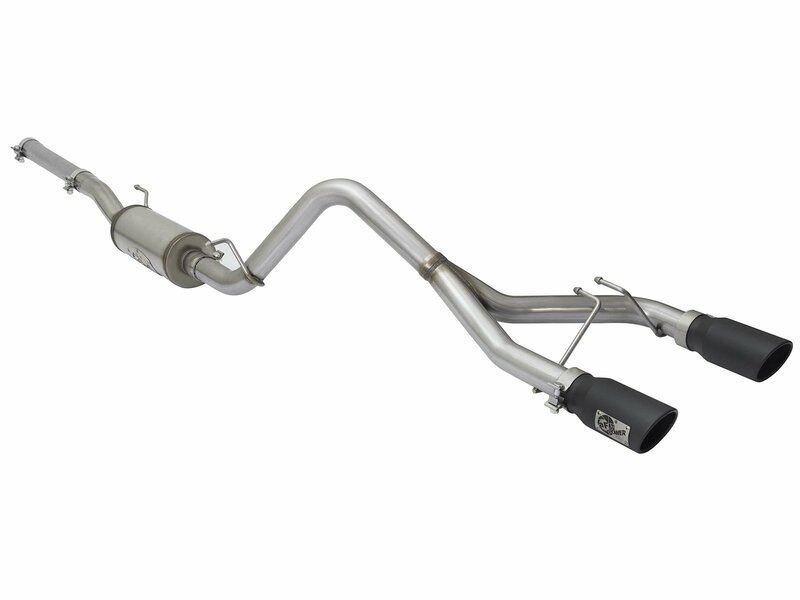 Finishing off this dual exhaust is a pair of 4.5" black wide center tips giving you that aggressive look to go along with the powerful sound. 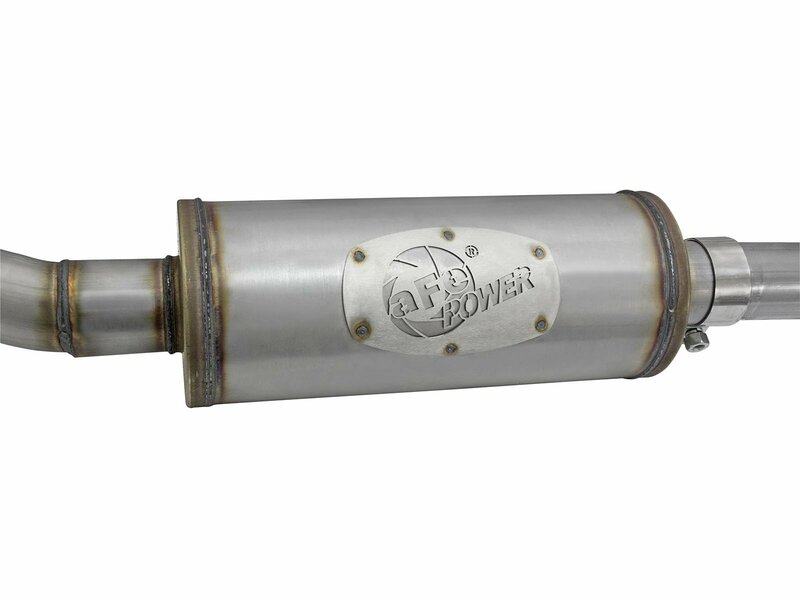 Upgraded Performance: With the free flowing air through this exhaust you can expect a performance increase of 9 horsepower along with 14lbs of torque giving you more power for your on and off road driving experience. 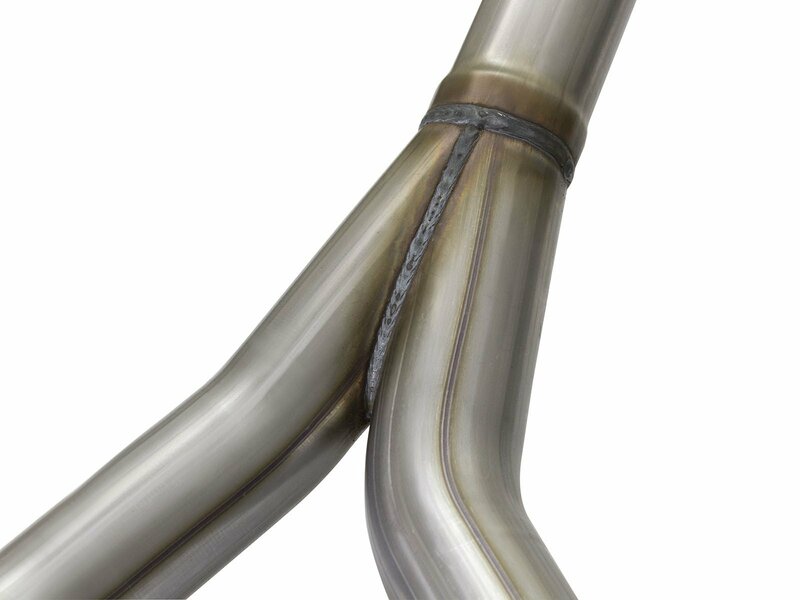 409 Mandrel Bent Stainless Steel: Built to resist high temperature corrosion this exhaust will withstand everything from rust to grim ensuring your exhaust will hold up keeping your Jeep sounding great and looking good for years to come. 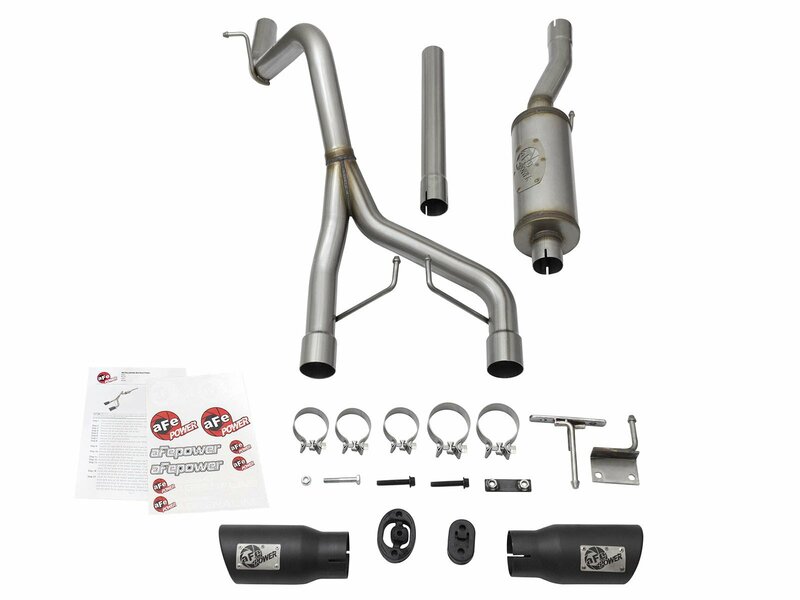 Hassel Free Installation: This is a direct bolt on exhaust using the factory mounting location plus coming with all the hardware & clamps needed to make installing a breeze so you can get back out there enjoying the trails.